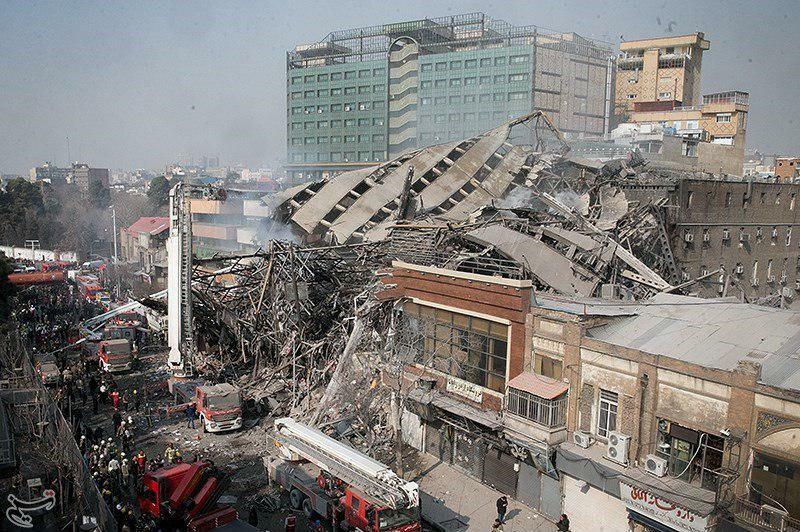 Spokesman for the Iranian Judiciary says two people have been arrested on suspicion of starting the fire of Plasco building, which led to its collapse on January 19 and killed several people. Two people are detained in connection with Plasco building fire, said Gholam-Hossein Mohseni Ejei, the Spokesman and Deputy Chief of Iran’s Judiciary. “The two suspects may have started the fire in Plasco,” he added, according to a report by IFP. “The case is pending in Tehran Court,” he said when asked about the latest developments of Plasco case in a recent press meeting. “A team composed of several experts will investigate the other causes of fire,” he added. No official has been summoned to the court yet, he went on to say.